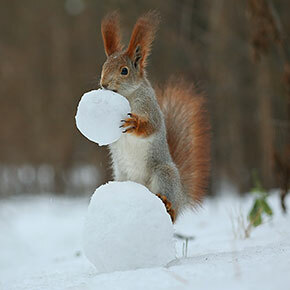 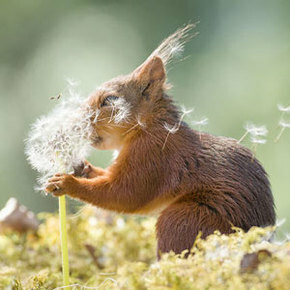 Squirrels are the fluffiest of nature’s creations. 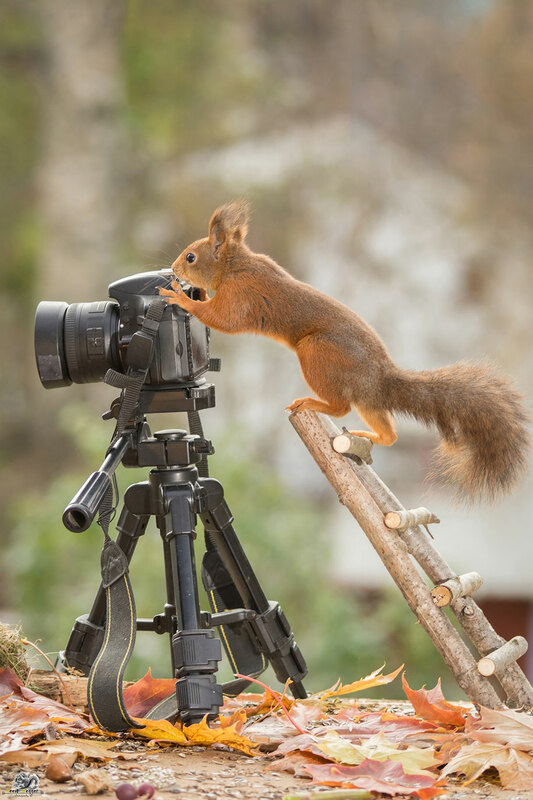 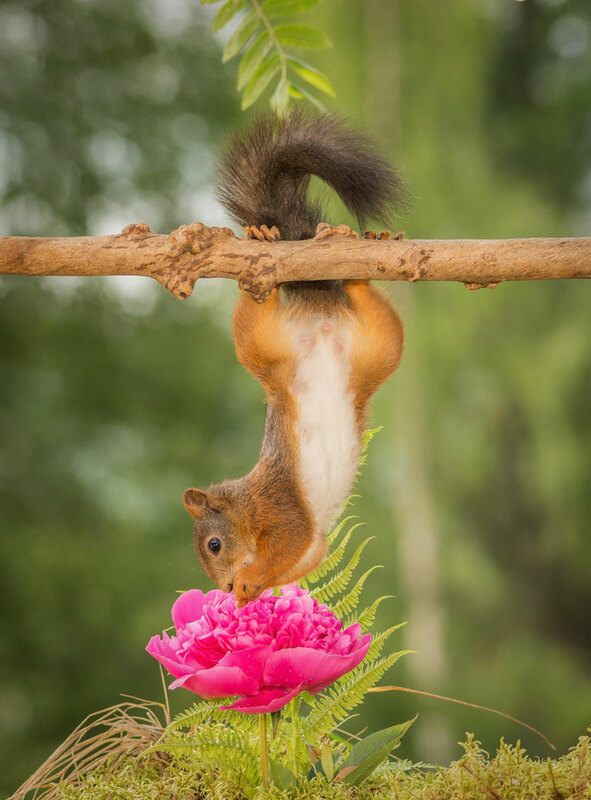 And taking their pictures is Geert Weggen’s great passion. 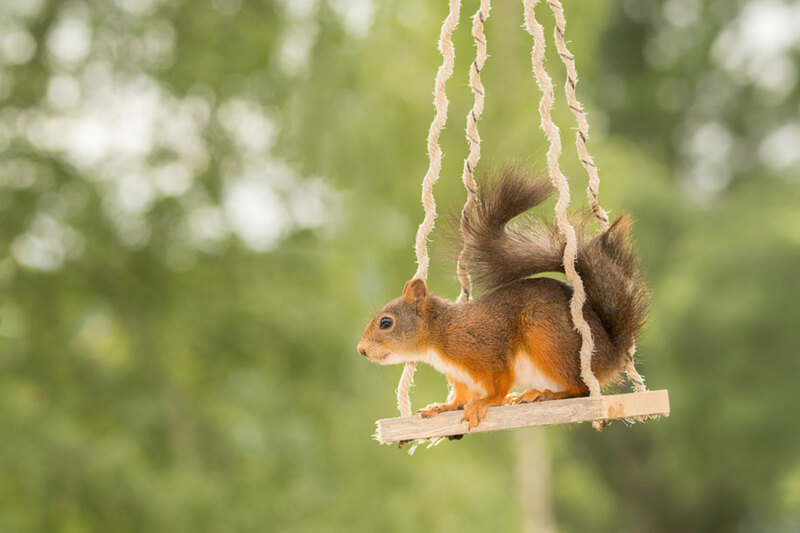 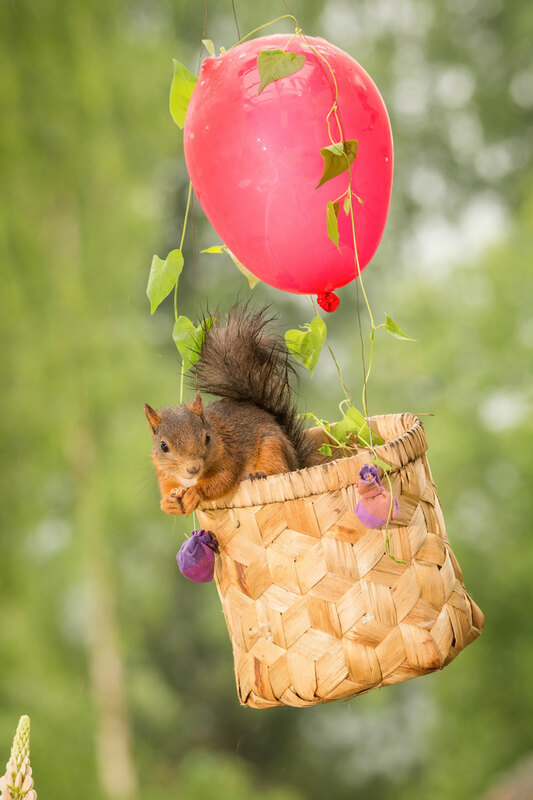 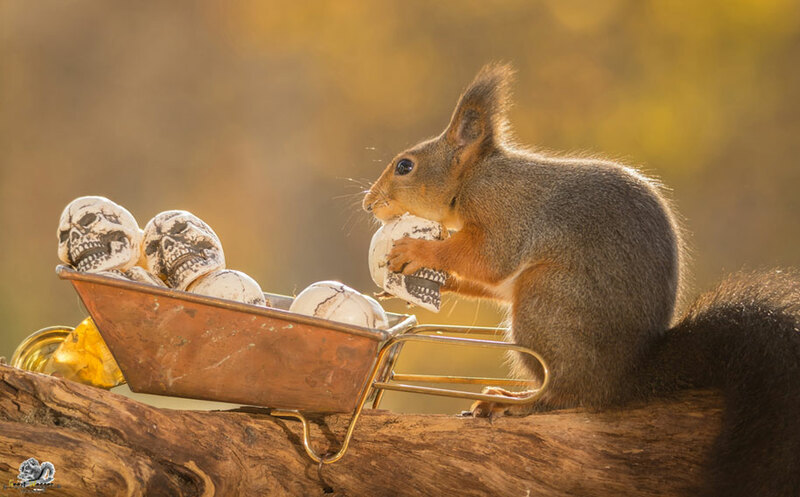 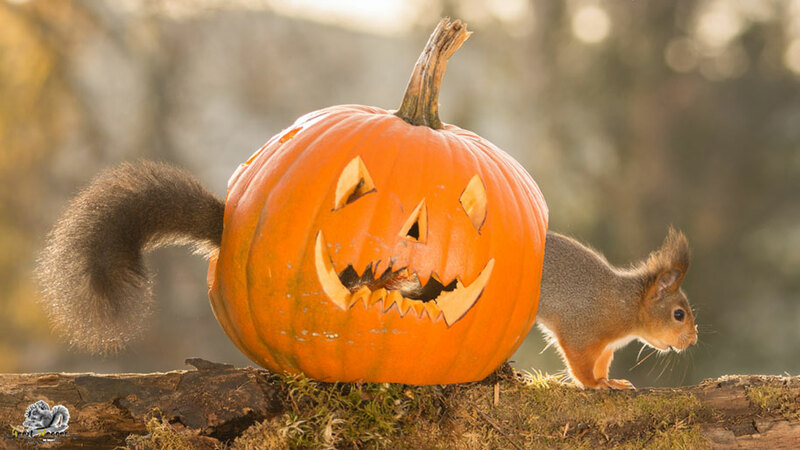 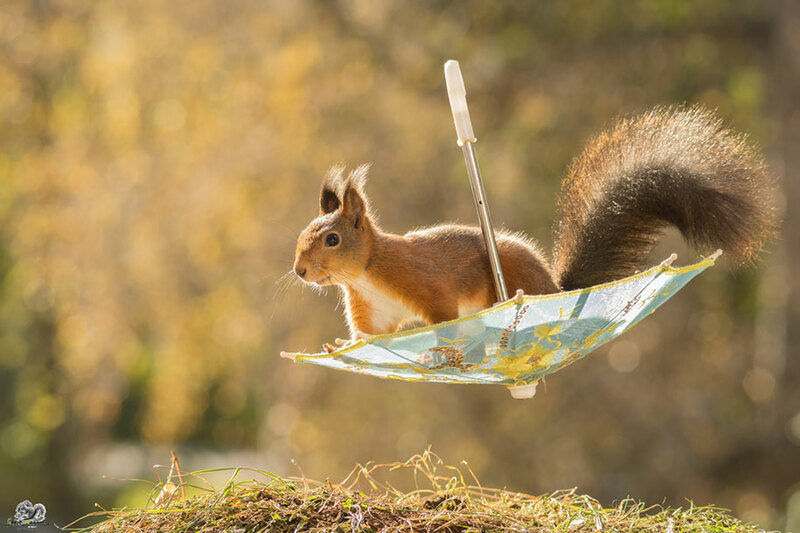 The squirrels seem to be having a good time, too, exploring their environment and doing unsquirrely things such as flying in an umbrella or cutting a log. 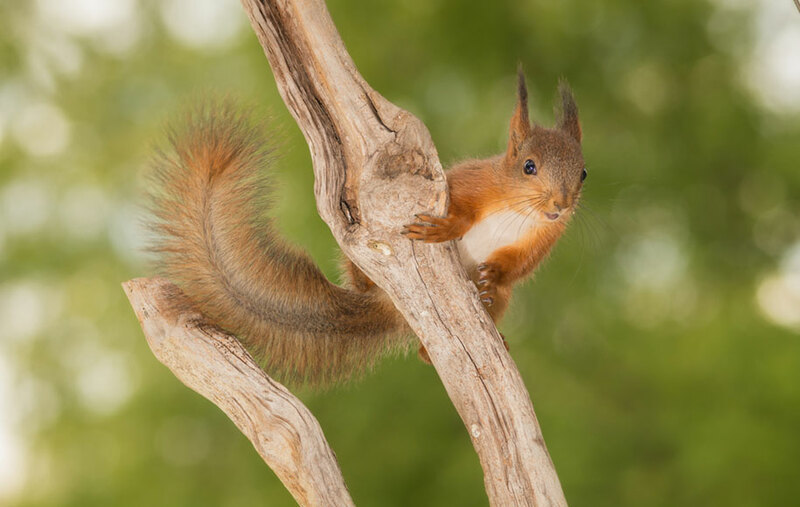 These brown little critters are a perfect alternative for a photographer who finds himself suddenly lacking cats! 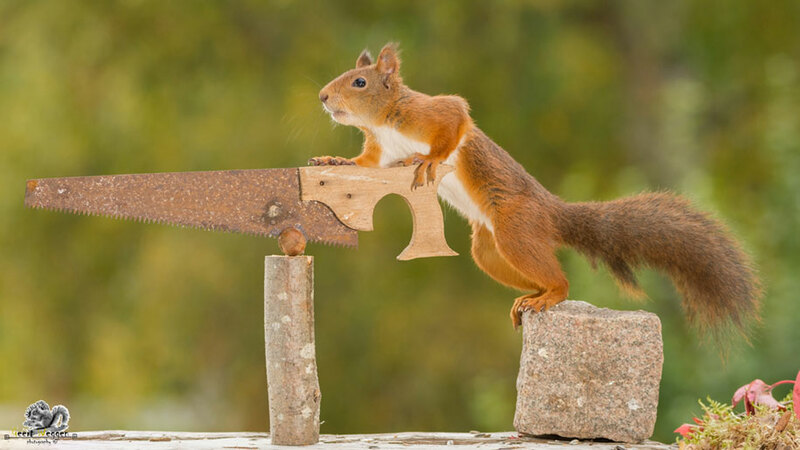 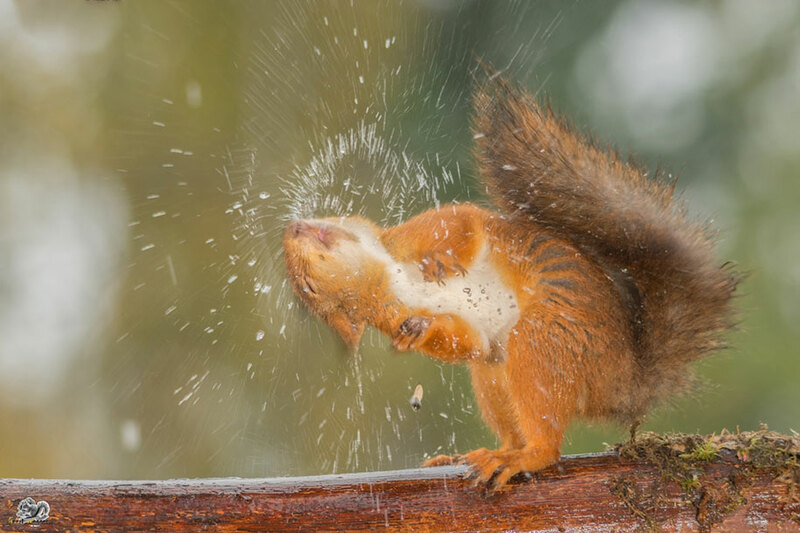 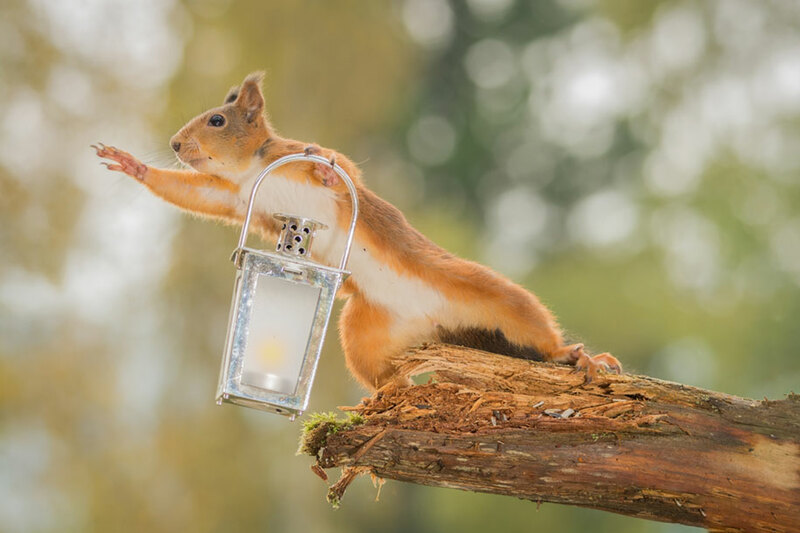 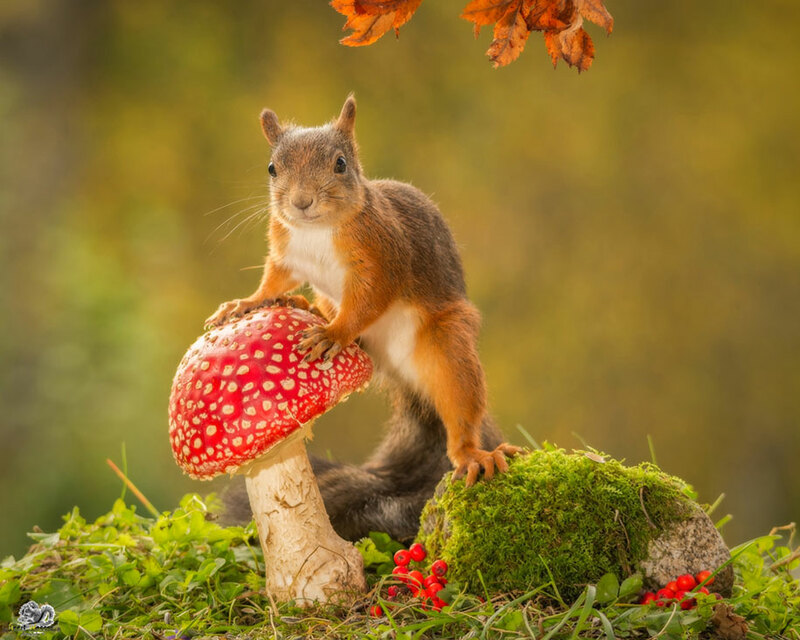 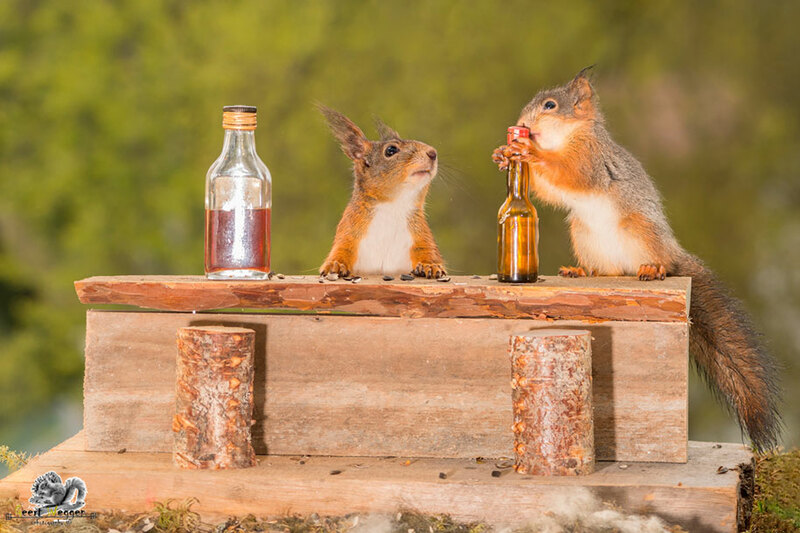 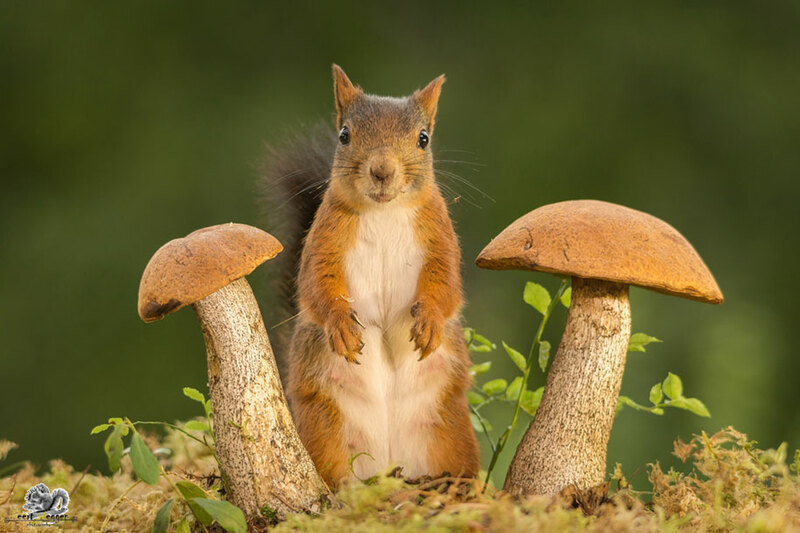 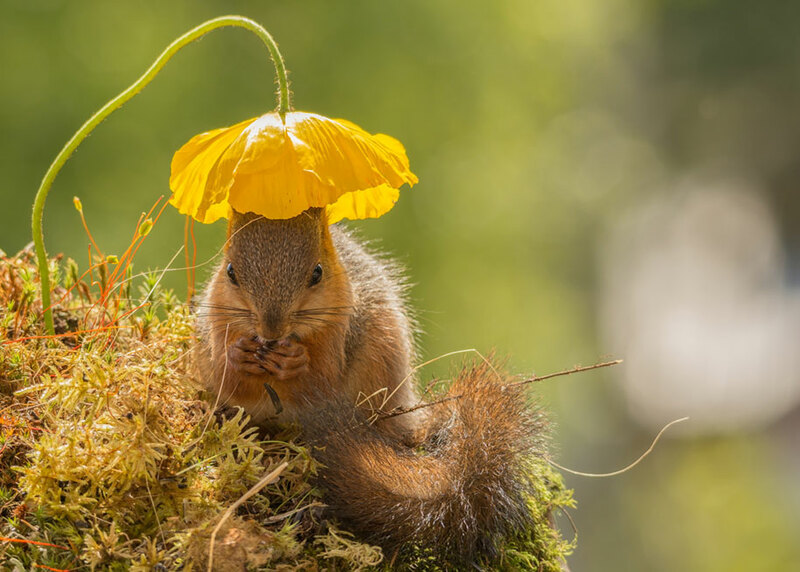 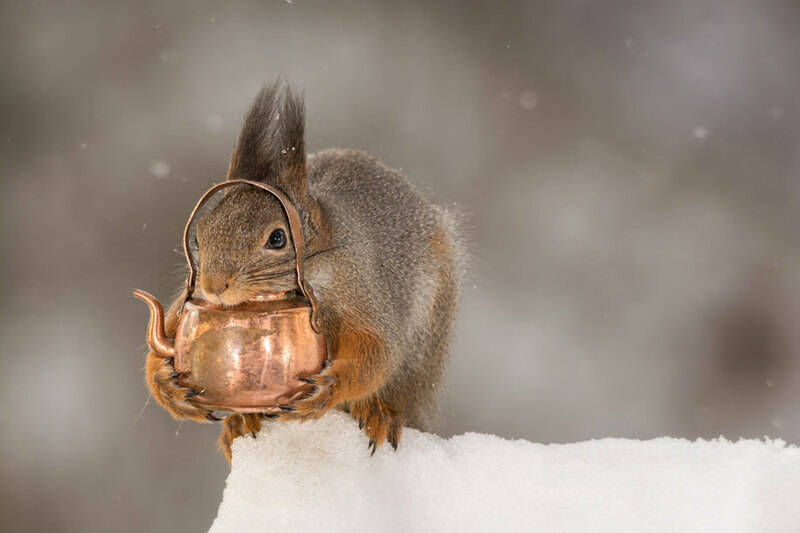 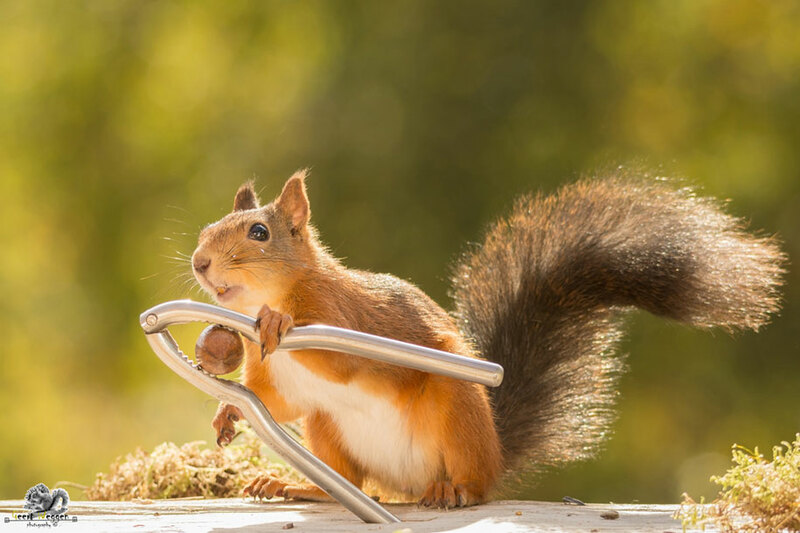 “Some years ago I started to take photos from my kitchen window of mostly wild red squirrels, and do that still,” Geert Weggen wrote on Bored Panda. 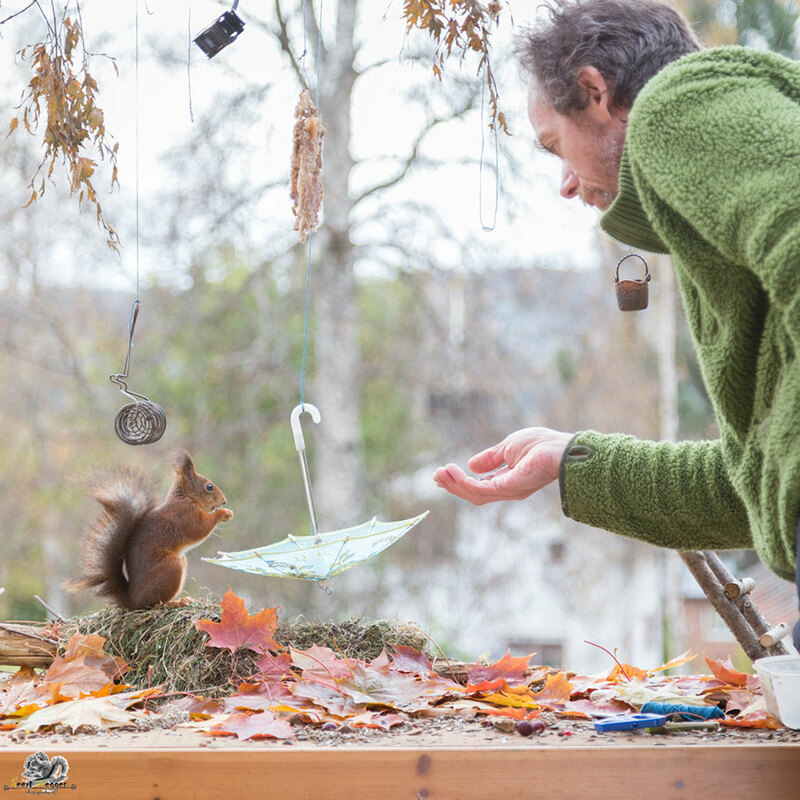 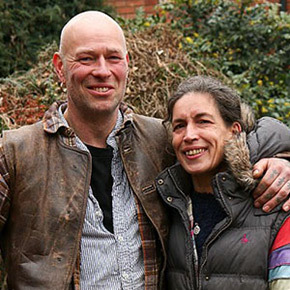 “Normally, I get bored after doing something for a few years, but not with this. 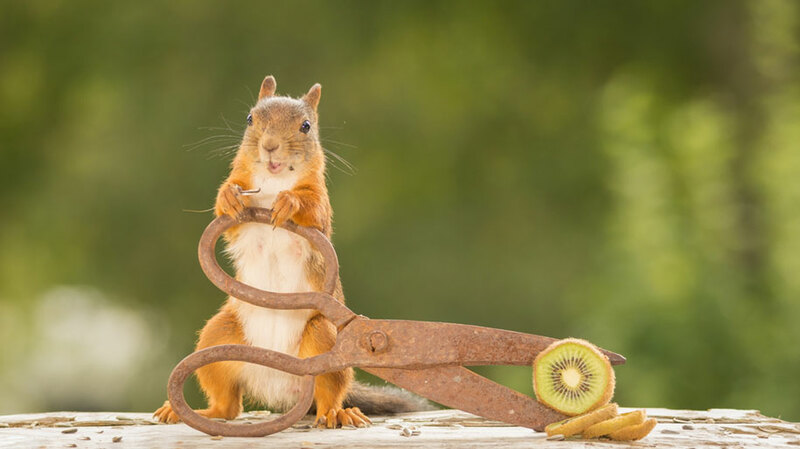 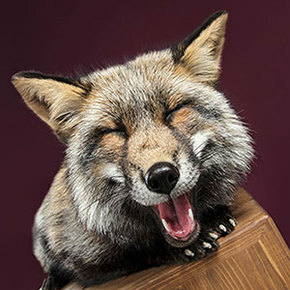 I still watch these beautiful animals almost every day and make photos.” Weggen says that his pictures are all real – Photoshop is used only to remove wires and food.